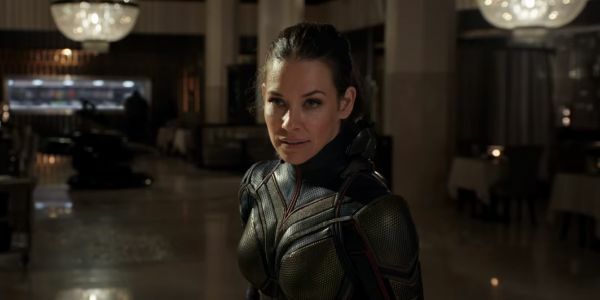 Since Evangeline Lily says that it takes three people to get her into her Wasp costume, I’m going to guess that she doesn’t magically have the most comfortable costume of any Marvel hero. Therefore, it probably is that the men just aren’t used to wearing uncomfortable clothes in order to look good. Everybody in the Marvel Universe has to get in tremendous shape in order to look like the superhero that they play. While the suit can certainly help in some regard, it also has to be quite formfitting, which, considering it usually covers the entire body, can’t be entirely comfortable. Of course, that’s not to say that Evangeline Lily thinks her Wasp suit is perfect. While she generally sings its praises to BackstageOL, she does admit there is one issue she has with it. The fact that she can’t put the suit on herself means she also can’t get it off by herself. In the final analysis, it seems that superhero costumes, while maybe not perfectly comfortable, maybe aren’t as bad as other things that half the population wears on a regular basis. Still, as fans, we appreciate the sacrifice so that our movie superheroes look amazing. We’ll get to see two of them on the big screen when Ant-Man and the Wasp arrives next week. Glitter Eyeshadow Is the Fun and Flirty Trend You’ll Want to Try Hay fever tablets: How many hay fever tablets can you take a day?